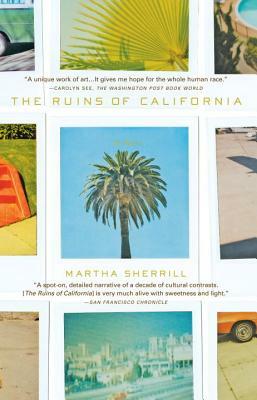 For the Ruin family in 1970s California, as described by the precocious young Inez, life is complex. Her father, Paul, is self-obsessed, intrusive, and brilliant. He's also twice divorced, leaving Inez to bounce between two worlds and embracing neither-that of Paul's bohemian life in San Francisco and the more sedate world of her mother Connie, a Latin bombshell who plays tennis and attends EST seminars in the suburbs. As Inez progresses through high school we are witness to a remarkable family saga that renders a strange and fascinating slice of America in transition-one like the Ruins of California themselves, at once bold and innocent, creative and chaotic, obsessed and liberating. Martha Sherrill is the author of The Buddha from Brooklyn, a work of nonfiction, and My Last Movie Star, a novel.